We hear it all the time, and it’s always c omplimentary. When someone thinks out of the box, he/she is supposedly thinking differently, in a way that is unrestricted by previously conceived ideas. Is it really possible to think out of the box? What box, in fact? If the expression refers to the box that is our individual head/mind, then it’s not such a big deal. After all, we are supposed to get ideas from others and so enhance our own way of thinking. But that’s not “the box” referred to in the expression. The box is our mind. Nobody can think out of the box. Nobody ever has. Anything that we can think of is what already is. Everything that has ever been invented is based on something that came before. Isaac Newton, as great a thinker and scientist that he was, understood that what he discovered was based on what others before him had worked on. With frankness and humility he said: “If I have seen further it is by standing on the shoulders of giants”. It is sad but true: our boxes are limited. We can make combinations of what is inside, but thinking of something absolutely and uniquely new is impossible. We can imagine unicorns, for example, even if they don’t exist as actual live creatures in nature; imagining a horse with a horn will give us a picture of a unicorn in our minds. We can even understand the notion of the bending of space and time, even though we can’t grasp the concept itself; we know what it means when something is bent and accept physicists’ explanation of the phenomenon occurring within our universe. We cannot, though, imagine what is ungraspable. However innovative sci-fi movies are, they can never come up with aliens different from what we can imagine; little green men or slimy blobs with three heads, or whatever, are just combinations of what we know. So are we stuck? Will we never really be able to think out of the box? Possibly. But it shouldn’t matter, since even if we accept it, we can also see how much we have advanced through the ages and how many more innovations come into being all the time. It’s not a matter of thinking outside the box, but of the wonder of the box we do have. The fact that it is infinitely flexible within its own limitations is itself a wonder. And the fact that its innovative capability is due to, and dependent on, its links with other boxes that constitute humanity, allows us to understand that we, as individuals, are not alone and are not meant to be alone. 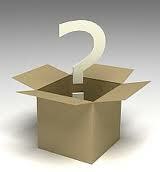 What we do best is to think within the box, as part of the matrix of boxes that is humankind. When I consider thinking outside the box, I don’t equate it with thinking outside my brain, I equate it with finding a way to circumvent preconcieved notions, barriers, limitations, and the naysayers, and finding a solution that is different from the conventional wisdom, the status quo, or ‘the way we’ve always done it.’ One does not have to come up with something unique, or new, one simply has to come up with something unique and new to the situation one is in. I agree with Jeffrey. I don’t equate the box to our mind, or brain, but rather to our immediate environment. Skinner would have us believe that our brain is a box, and that all that we are is because of our surrounding environment. And he may be right in the majority of cases, but not all. It may be simply a question of letting others think for you, or think for yourself. A question of whether we are inside the box looking out (Skinner), or outside of the box, looking in (Chomsky). One might say that all inventions are a continuation of something, but if no one thought out of the box, nothing new would be conceived. I don’t know if this is an apocryphal tale but the expression “thinking outside the box” comes from signing a contract outside a designated box as a device to invalidate the contract if necessary. The quote from Szent-Gyorgi sums up my point about there not being anything outside the box. We all see the same, yet from that people form their own conclusions. Yes, we can all think for ourselves, but the ingredients are all within the box. All inventions use what is already there, in the same way that any new chemical compound uses chemicals that are already in existence. It is how we put together what is in the box that gives us new thoughts. I think outside the box most of the time – and that’s not because I’m clever. My emotional intelligence based on reflexes, the automatic sensory system, hormones and other external to brain features is just as functional for me as my billions of brain cells. What is a human without emotions and body language. I know and it is true that some of this system is embedded in the brain but scientists claim that it doesn’t hold for the entire emotional systeme. Body and soul mannnnnnnnnnnnnnnnn!